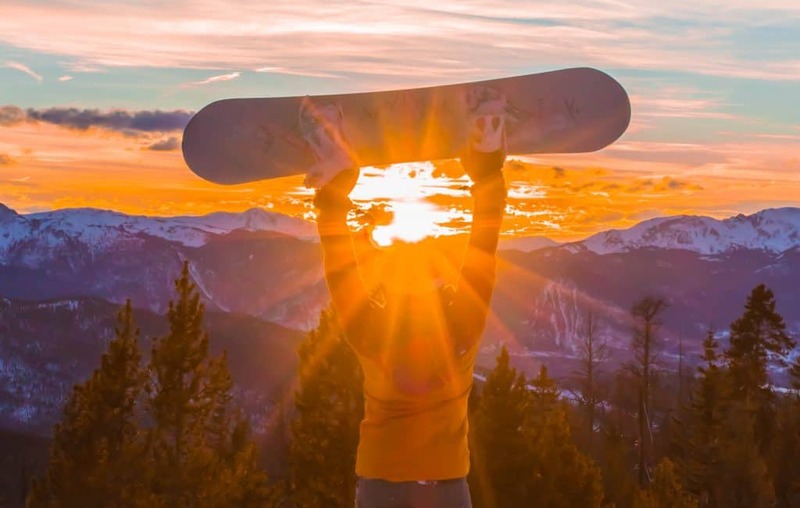 If you’ve been following this blog for a while you’ll know that we have a passion for snowboarding. We dedicated our first year to combine this passion with our other passion (travel) and thus we visited 28 ski resorts in one winter! Travel and alpine sports have always been tied since so few of us live in the mountains of the world. This page is meant to serve as a jumping off point to explore the best ski resorts in the world. We’ll continue to update it with our opinions of ski resorts and share our favorites. Hoping one day to visit them all! In the 2018/2019 we’ll expand to backcountry and helicopter operations. 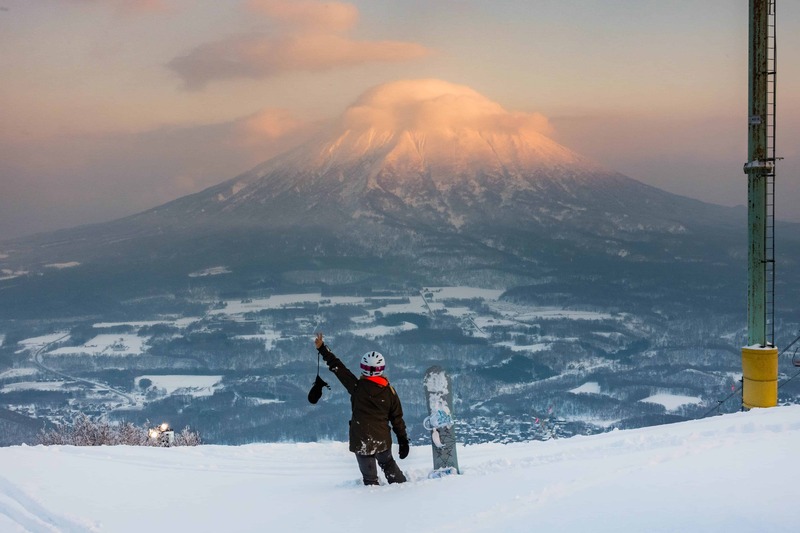 This will be all while we live in the powder capital of the world Niseko, Japan. There two major regions when it comes to ski resorts around the world North America and Europe. We love to ski in both places and can’t say that we prefer one over the other, but they do have their distinct differences. We’re basing ourselves in Japan this winter to perfect our backcountry skills and chase some epic powder madness. Stay tuned for those updates! Europe is amazing for its ski villages, apres-ski scene, great on-mountain food, and alpine skiing above the treeline. It’s the only place where you can have a Michelin rated meal of fresh mountain trout and prosecco between runs. We loved slipping into mountain huts and enjoying a nice espresso or cappuccino before slipping down into another picturesque village. Honestly, skiing or snowboarding in Europe is a much more elegant affair than in North America. While lift tickets are affordable ranging from €50-90 finding affordable lodging and food is a near impossible mission and should be booked in advance. Resorts like Zermatt and Davos nearly made us go broke on food expenses alone. However, the atmosphere is so easy to get lost and have an amazing ski trip. It’s not hard to figure out why the Alps are king when it comes to ski world. Oh and with ski terrain like the route below it’s easy to see why, can you spot me? Ski culture in North America is about the thrills and picking an awesome line on steep terrain out west. Mountains here are often only a “hill” with a small resort at its base which means that resorts like Lake Louise (image below) provide breathtaking landscapes. The backcountry possibilities are endless and there are dozens of heli-ski outfits based around the Rockies. Lift tickets in North America can cost more than double their European counterparts, but you won’t be tempted to drop €200 on an indulgent three-course lunch with French wine (but maybe $20 on chicken fingers and fries 😝). We love North America for its awesome steep runs and tree skiing. Racing through a steeply wooded forest feels surreal and provides an amazing rush that’s tough to beat. 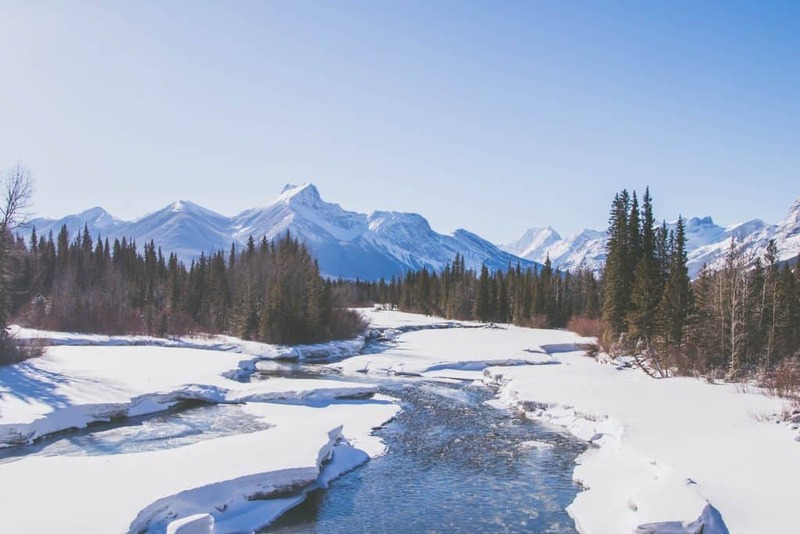 Banff/Lake Louise: Awesome Things to do in Banff in the Winter • SkiBig3 & More! 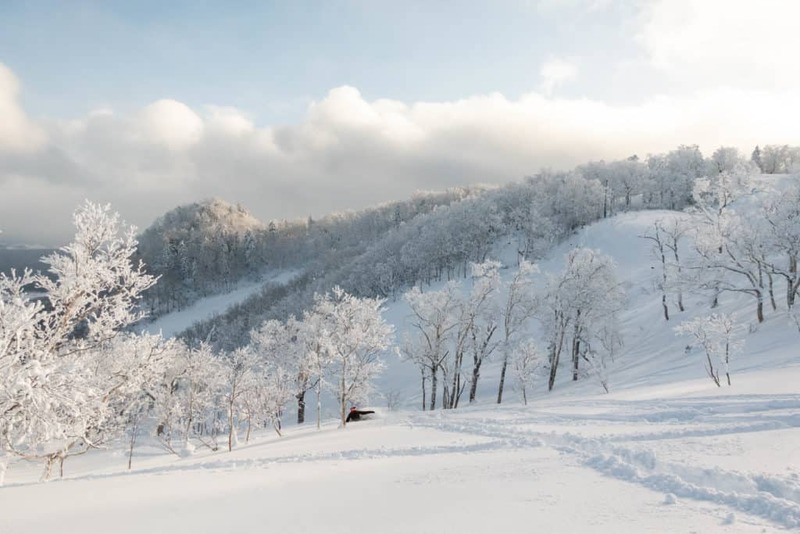 Furano, Japan: Where to find the best spot for Japow! We recommend you’re an active traveler prepared for the rigors of cold weather and physical activity. If it’s your first time skiing or snowboarding you should be prepared to fall on hard snow. Even the best still take tumbles from time to time, it comes with learning new skills. Having an insurance policy that covers you in Alpine sports is crucial and I don’t recommend anyone ski without it. Sometimes an injury is out of your control. We’ve seen out of control beginners let their boards/skis tumble down the mountain only to knock out an expert. You never know what’s coming for you! Stay safe and carry insurance. Everyone should know the basic ski rules on the mountain. Things such as the right of way, liability, and boundaries are hard rules that should be understood. If you injure someone else it is your fault and you’re liable. If you were to ask ski patrol one of their pet-peeves it’s people not skiing to their ability. There is a difference between challenging yourself and getting in over your head. A double black extreme or ski route are probably not a great idea in your first week, or maybe ever. Ski seasons in the Northern Hemisphere generally run from December to April, with February being the high season. We personally love March as you can still get reliable snowfall and those warm bluebird days. 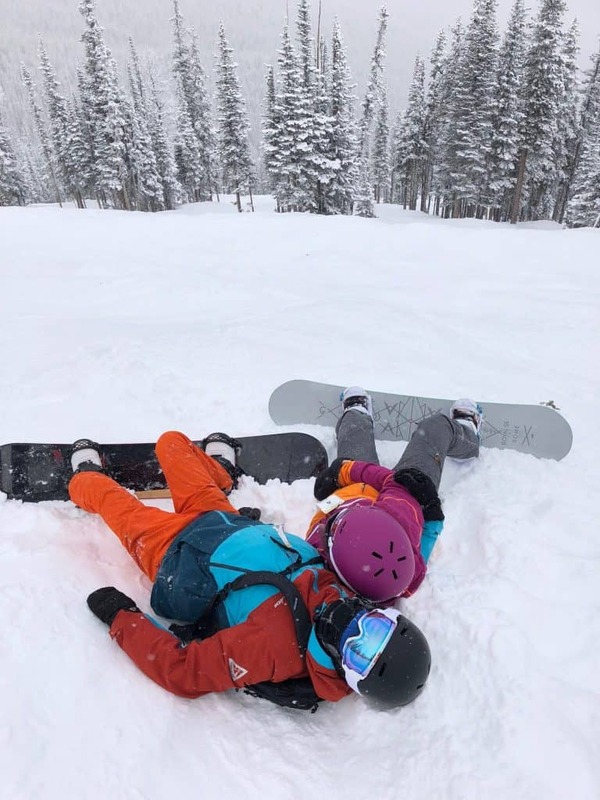 Always bring appropriate ski wear and learn the signs of frostbite. We faced severe weather conditions in Switzerland and Canada during cold snaps with temperatures -30C or -22F on the mountain peaks. We had appropriate wear, but our noses and cheeks still had the beginnings of frostbite. This stuff can help save you some skin damage if you’ll face extreme temperatures. Winter packing can seem daunting given the size of your outerwear. The best way to deal with travel and your clothes is to place what you can in your board bag likes pants, gloves, and boots. We then wear our outer shell on the plane and carry on our helmets. Great clothing is built to be worn in layers such as a good thermal set, shell jacket, shell pants/bibs, and a decent down jacket or fleece. We always go with three layers of high-quality clothing, unless it’s warm spring conditions. We don’t skimp on good winter clothing either. Expensive outdoor brand names like Patagonia, Helly Hansen, and Smith have a home in our bags, but they are durable and last. There is no room for debate on this topic. You need travel insurance if you’re skiing in a foreign country. You can pick up short-term policies with adventure sports riders. Also, keep in mind some insurance policies may be void once you head off-piste. We recommend two insurance providers, they are World Nomads and Allianz Travel Insurance. We’ve personally used both of the years and although we’ve never had to make a claim we know friends and fellow bloggers who have and had great experiences. Personally, we carry a full year policy with IMG Global, because they give us expat insurance, but they do not specialize in short-term insurance policies. Furano took us by surprise because up until two weeks before our arrival we had never heard of it! If you’re in search of that legendary Japan powder then look no further than Furano. A lot of people opt for the more popular Niseko United on Hokkaido island. However, Furano delivers a better laid out mountain with lower prices, fewer crowds, better weather, and an authentic Japanese town. We loved riding here and had some absolutely unreal powder days with 50cm and 40cm dumps in five days of riding. First time riding in snow up to our waists — already planning our return next season! We were absolutely stoked to spend a week in Japan’s most popular resort town. 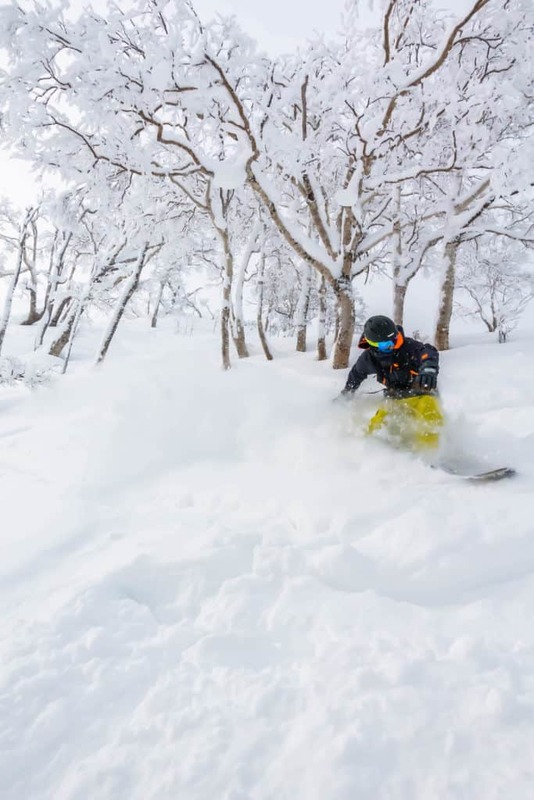 Niseko is well known in the ski world for getting epic powder dumps. Some say that they get the best snow in the world. There’s no denying that the fresh snow that falls in this Hokkaido town is light, fluffy, and neverending. Seriously, I’m not sure I’ve ever seen snow of this texture before – and when it starts to snow – it really starts to snow. Niseko United encompasses the entire resort, but the mountain is actually a combination of four individually owned ski areas. Niseko Village, Niseko Grand Hirafu, Niseko Annupuri, and Niseko Hanazono. 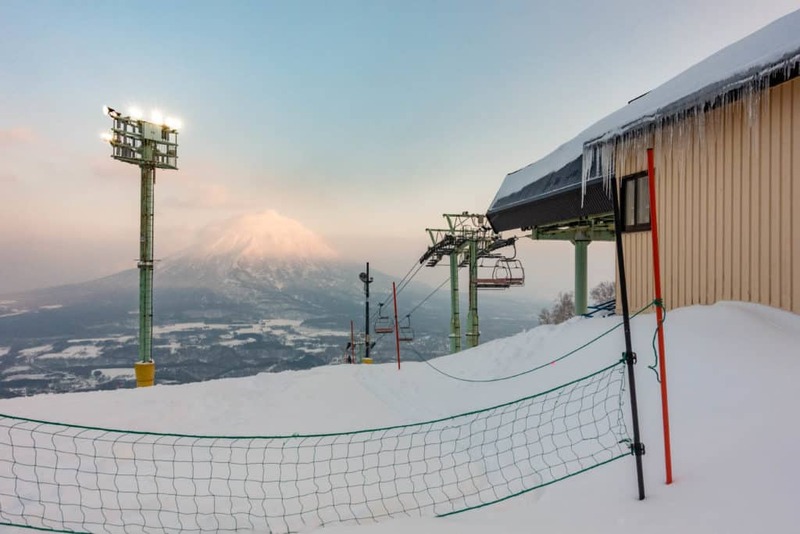 We loved Niseko for the snow, however, the word has definitely gotten out about this Japanese ski resort and it seems that every Australian is booking a flight to Sapporo. It’s also has become incredibly popular for people living around Asia to head here to experience their first snowfall. Cue some crowds and extremely high prices (even for Japan). We also found Niseko didn’t feel like Japan, but rather a western resort located in Japan. That being said, even Niseko at its capacity still feels empty compared to big names in the west. And the snowfall more than makes up for any crowds. Generally, the higher you go and the more backcountry you explore the fewer people you come across. This would be the one resort in the world we can safely say to avoid. It was easily our worst experience on a mountain with insane crowds and overburdened gondola system, an ugly town, and far too many inexperienced skiers. Read more about our thoughts here. That being said it is the cheapest place to go on a ski holiday and the mountains are beautiful. We also found the food to be cheap and cheerful along with friendly locals. Despite stereotypes, Eastern Europe is not filled with grumpy people and some of our best travel experiences have been exploring the Balkans. This small town in the Trentino province of Italy is home to an impressive glacier and amazing freeride terrain. The town isn’t the most charming in the world as it lines a small highway. However, you can find an affordable chalet or bed and breakfast along with decent lift ticket prices. It’s around €50 a day and the main gondola out of town provides access to an impressive amount of vertical. Given its elevation, the area can also have amazing snow seasons, for example, last year. This is a secret gem of a ski spot with affordable pricing. This is one of Northern Italy’s most famous villages and it’s a wonderful resort. 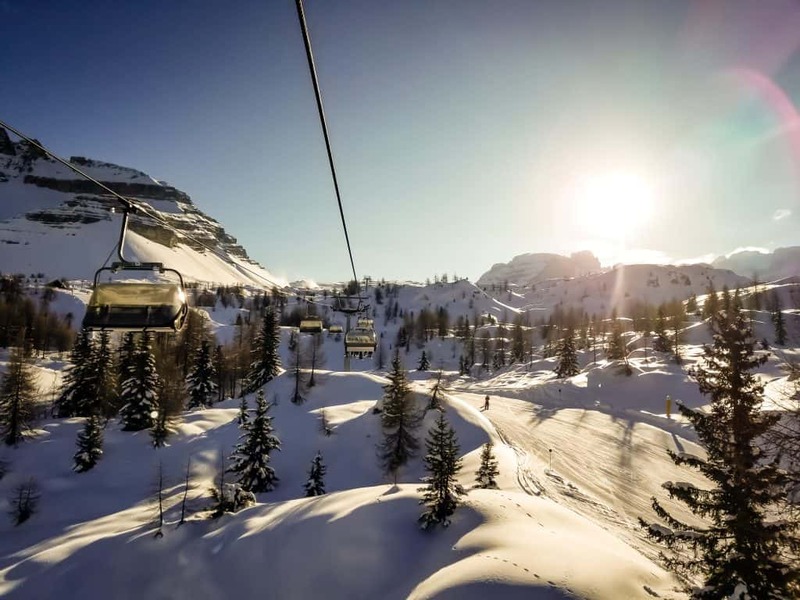 The operation is truly impressive, the ski town is lovely, and it’s nestled in the Dolomites – arguably one of the most beautiful mountain ranges in the world. We can’t say enough good things about this resort as it’s great for those in search of culture, good food, a charming town, and a nice ski. They’re even working hard to build a world-class ski park and offer terrain park only tickets for a lower rate. We’re not big park rats so we can’t comment too much on the quality of the park. The only ding you can give this resort is the lack of off-piste and backcountry opportunities. Since it’s located in a national park and UNESCO world heritage site skiers need to stick to the pistes. It’s rare that we find ourselves in a ski resort as beautiful as Narvikfjellet in Northern Norway. 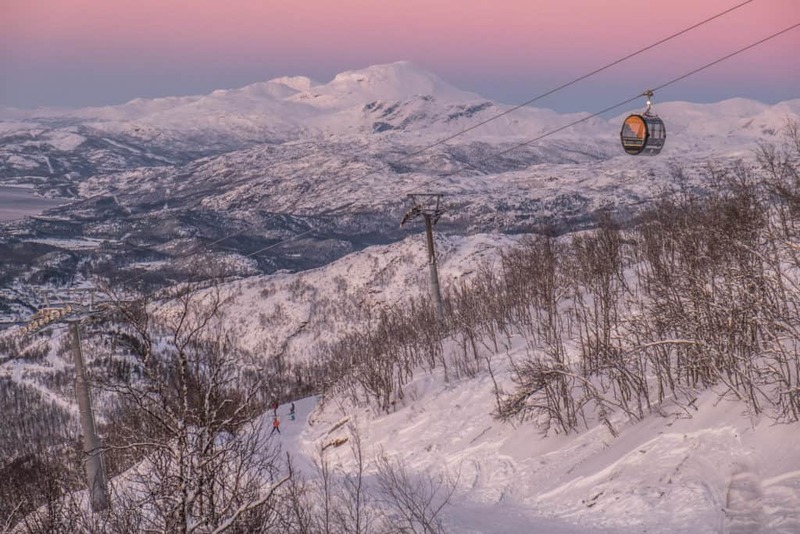 Imagine skiing down a nicely groomed piste with incredible views of the pristine fjords and majestic mountains – that’s what you get at Narvikfjellet. This is one of the best places to ski in all of Norway. The resort is large by Norwegian standards and offers both on piste and back country riding. 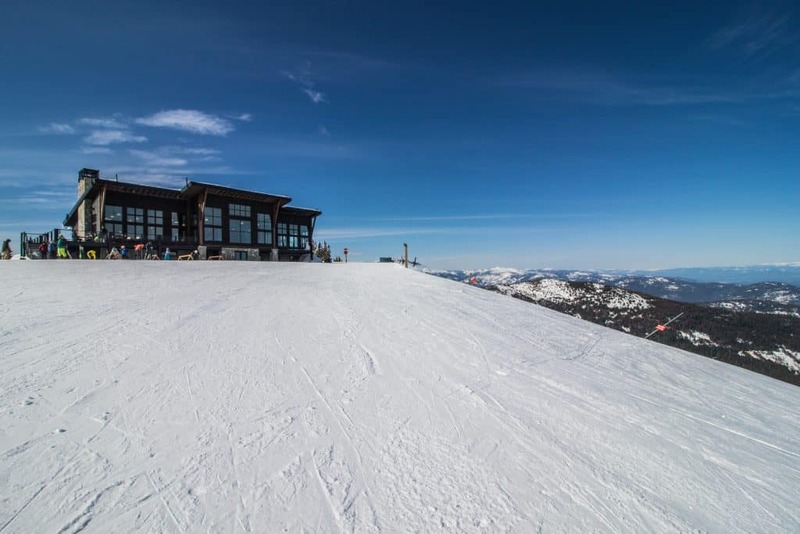 The resort just recently installed a high powered gondola which gets you to the base station in under 10 minutes! What’s unique about Narvikfjellet is that their hours vary day by day. Often starting later in the day like 10 or even noon, and then running until 8pm. All of their groomed runs are under lights meaning you can get incredible European night skiing here. There’s a lot more to Lech than a beautiful village, it’s often credited as one of the birthplaces of alpine skiing. A wide array of pistes are connected with neighboring resorts to form the largest ski area in Austria. The pistes are well groomed with snowmaking capabilities – if they even have to use them due to regular snowfall every year. In our travels so far, Lech wins the award for best village ambiance and experience. That being said be prepared for high prices, it is a well-known playground for the rich and famous. Probably the best-kept secret in the whole region is Gargellen, and I must admit I’m even a little nervous to write about it and let it out! Gargellen is a wonderfully charming town that has no through traffic, so there are few day trippers and a strong local vibe. On the other hand, intermediate riders can still have a good time here. There are a number of areas to ride off-piste, a few black runs, and even a small snow park. All in all, fun can be had here for any level and skill at any age! 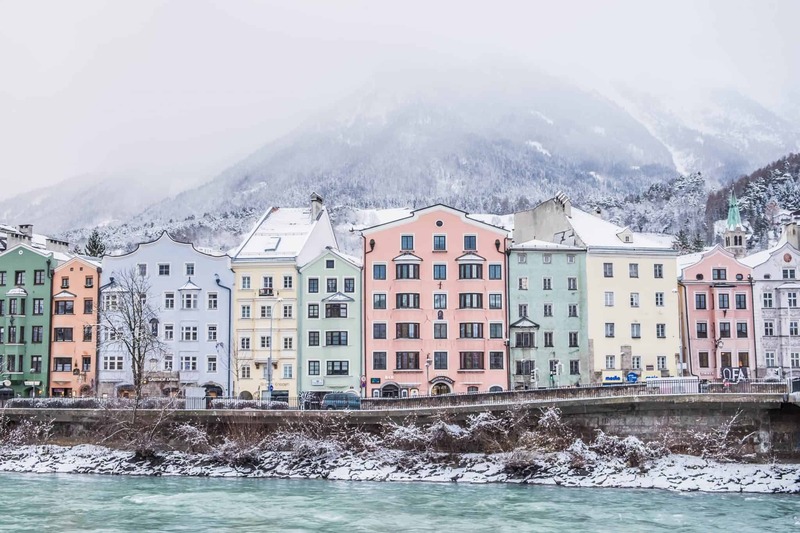 It’s a great stop if you’re looking to connect the ski resorts of Austria and Switzerland while checking off one of Europe’s micronations from the list. 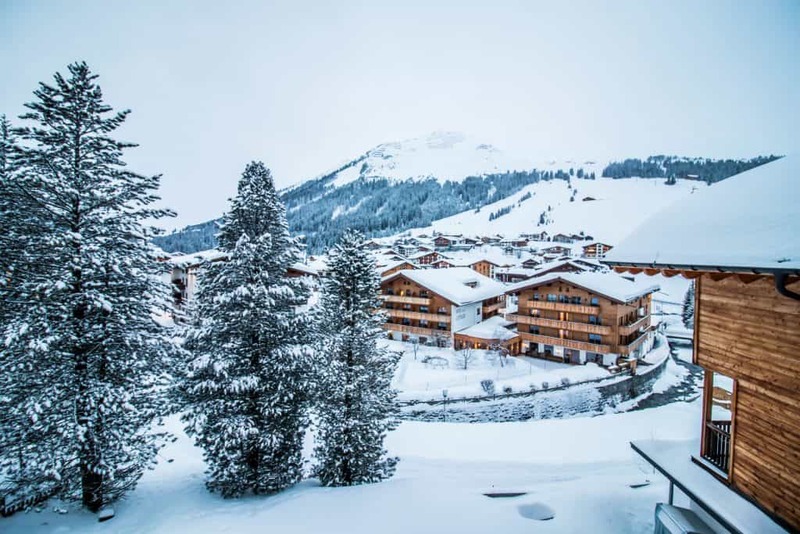 As one the largest ski area in Switzerland, it’s easy to be overwhelmed by Davos-Klosters. We sure were when we first exited the funicular and got on the pistes. That’s why we’ve broken down the ski area to provide you some insights so you can make the most out of your ski holiday in Davos. It’s hard to not find challenging terrain to elevate your skills on a snowboard or pair of skis in one of the best ski resorts in the world. 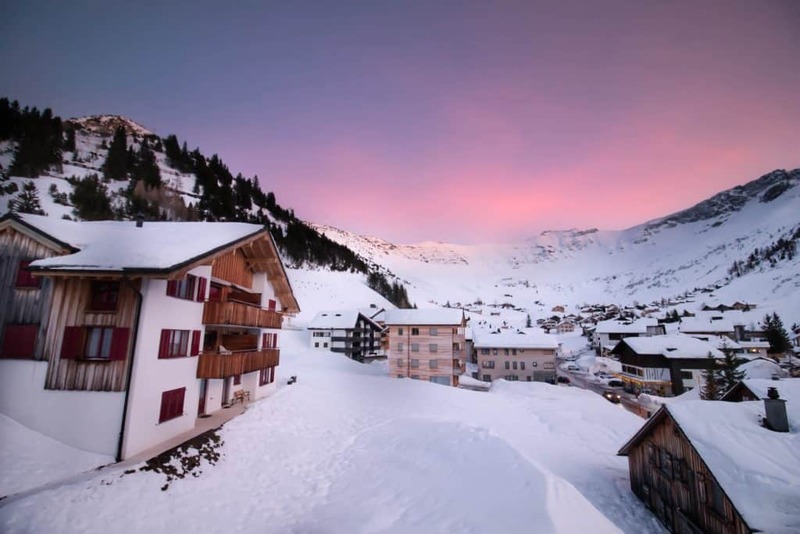 Davos is a well-loved ski resort and it’s not the village charm, but the skiing on offer. With six ski areas, hundreds of kilometers of pistes, and something to offer every skill it’s easy to understand why it is well regarded. 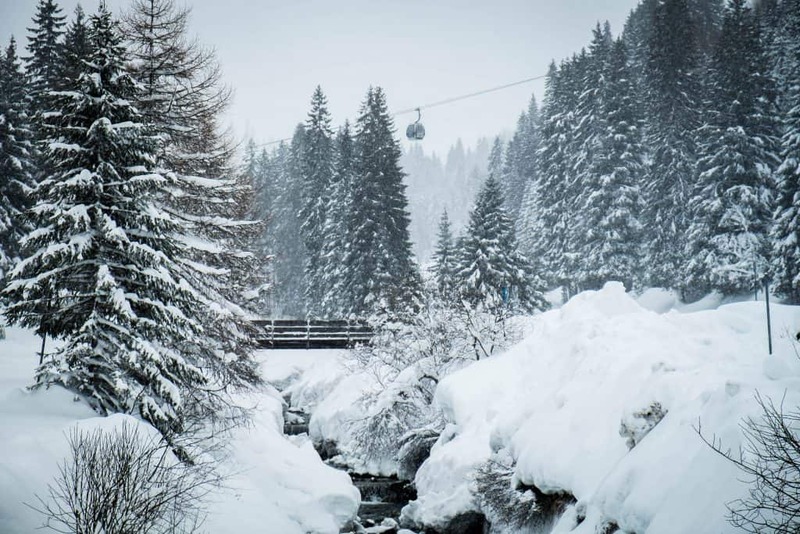 If you’re looking for the classic Davos-Klosters ski area head to Parsenn the largest ski area that connects the two towns. 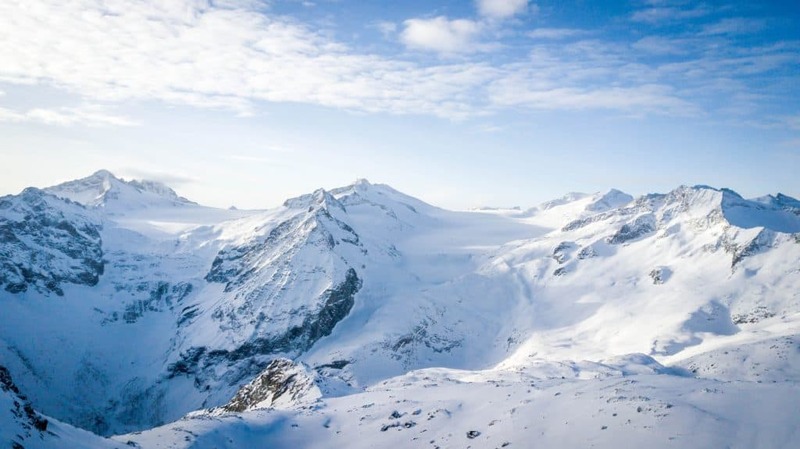 The highlight of winter in the Jungfrau region and Grindelwald has to be the ski and snowboard area. 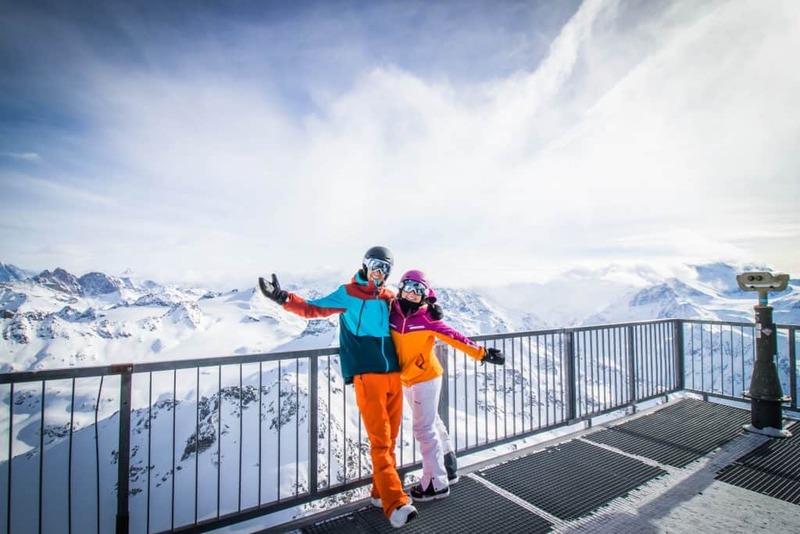 213 kilometers of pistes that are divided into three areas equals pure bliss. There is Grindelwald First, Männlichen, and Murren which is accessed only via a train. Most may head to Switzerland to take in the breathtaking landscapes, but we were after some fresh snow and great terrain. 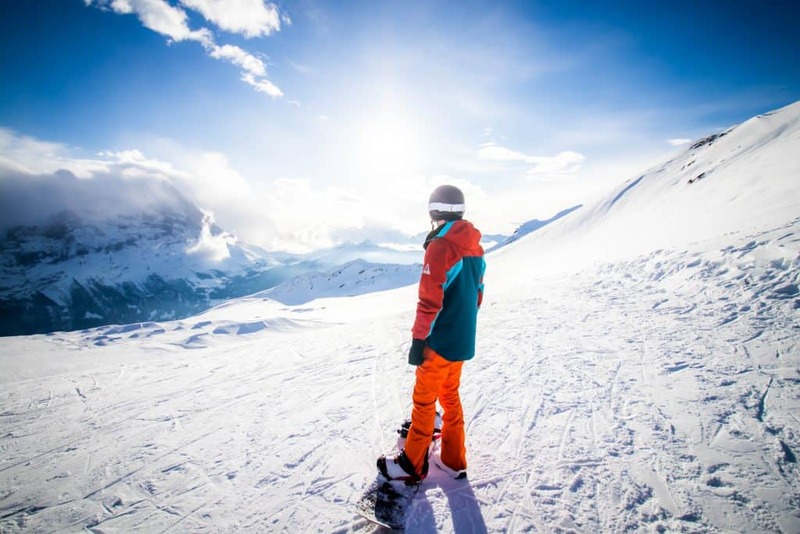 If you’re heading to Switzerland to ski or snowboard make sure to check out our packing list. Zermatt boasts 360 km of groomed pistes, suitable for every level and showcasing a wide range of terrain. 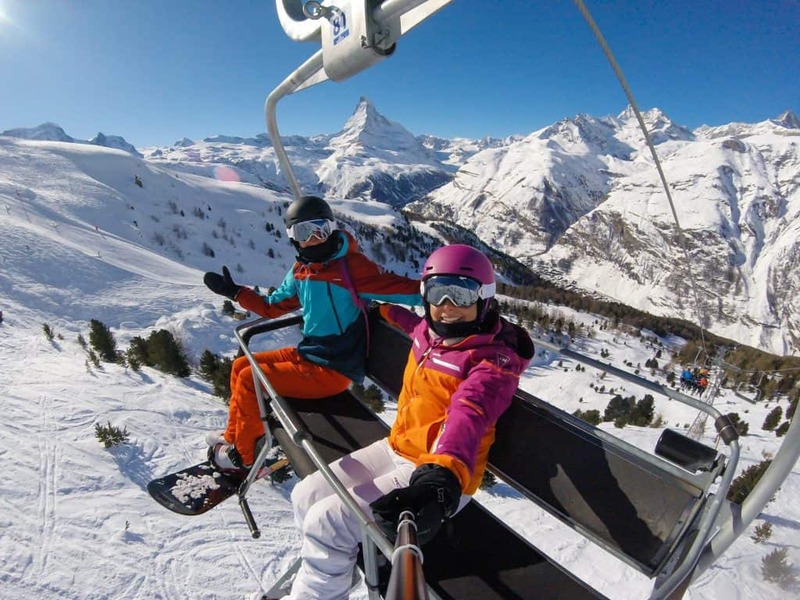 The Snowpark Zermatt is accessible via cable car and offers freestyle skiers and snowboarders unparalleled views of the Matterhorn with a world-class park. Ski touring, free-riding and heliskiing are all also popular activities in Switzerland’s most famous town. Zermatt is world famous for its long ski runs, and some point between 2500 and 3900 meters I wondered if I would ever reach the bottom of the run. It is a skiers dream with so many freeride possibilities and pistes. All of this unfolds under the watchful gaze of the Matterhorn that dominates the landscape and one of the most beautiful ski villages in the world. Tourism is a massive business in Zermatt and there is hardly ever a low season for this town. Few resorts make as many “best of” lists as 4 Vallées. 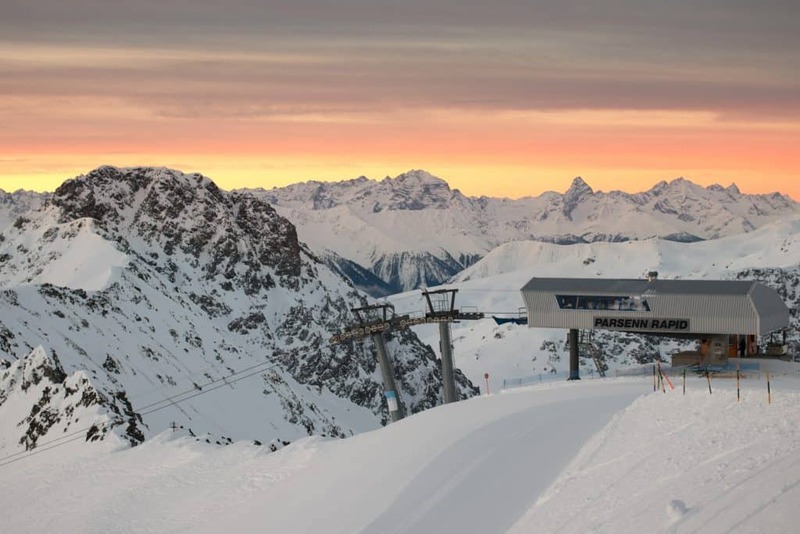 You’ve probably heard of the ski area by the association of the famous resort town of Verbier. The town draws a crowd and high prices while its neighbor Nendaz offers the same mountains at a lower cost. 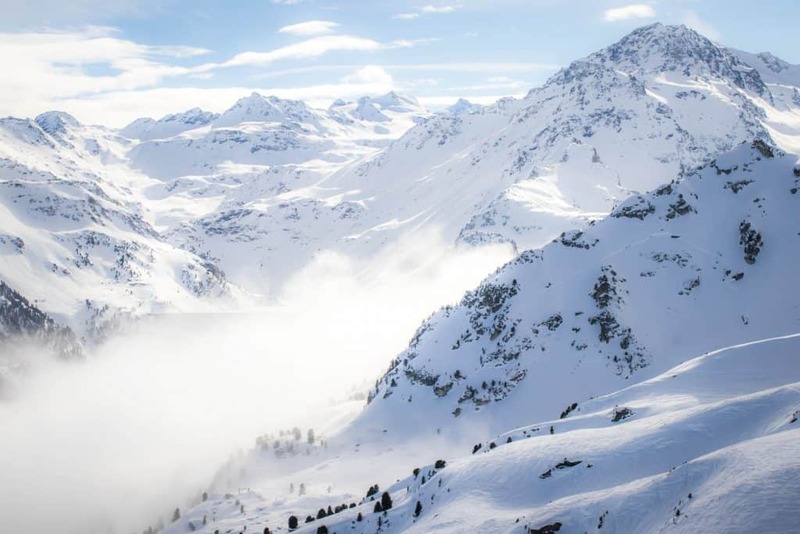 Altogether 4 Vallées is the largest ski resort in Switzerland with a whopping 412km of ski runs! Almost all of the 412 km I mentioned is entirely groomed terrain which ensures a smooth ride. The 4 Vallées pistes are made up of 39% beginner, 44% intermediate, and 17% advanced. One of the most famous runs is from the ski areas highest peak, Mont Fort, and offers a massive 2,000m of vertical drop to tackle. Once you leave the pistes there are an ample amount of off-piste free ride zones and access to the backcountry. Those free ride opportunities draw in some of the world’s top ski and borders and many aspiring athletes. Those visitors will find a ski area that includes 96 ski trails and 79 km of piste with a variety of greens, blues, and blacks. 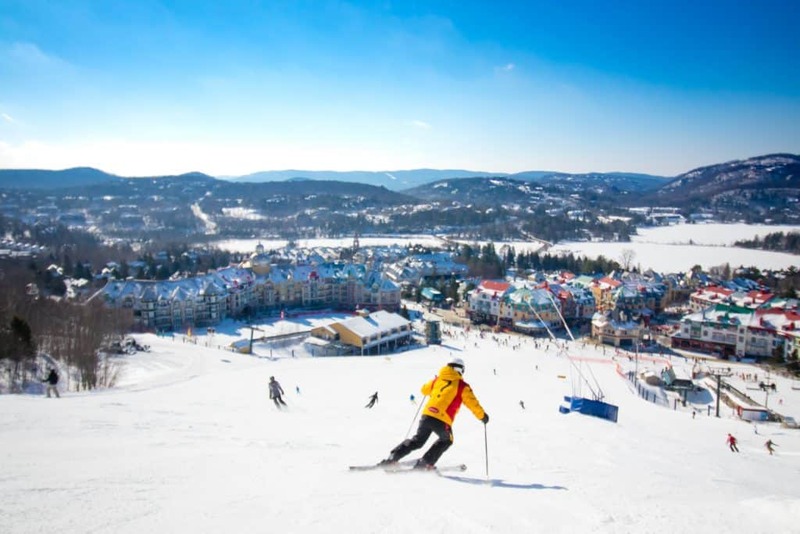 Mont Tremblant’s incredible snowmaking and grooming abilities, which are considered some of the best in North America. It’s famed for being the best ski resort on the East-Coast, and that may be true. Granted Stowe, Jay’s Peak, and Killington would have something to say about that. The drive into Kananaskis Country instantly makes you feel small as the Canadian Rockies making you even forget you were just in a major city. 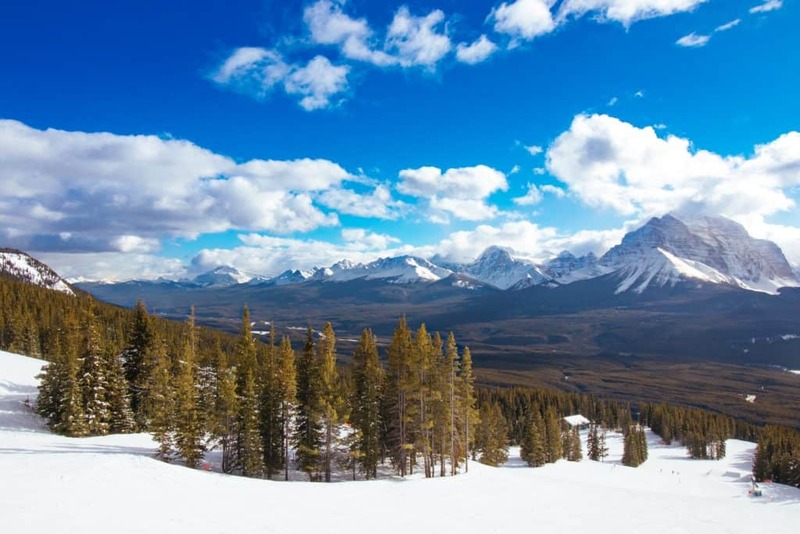 Nakiska was originally built for the 1988 Winter Olympics in Calgary. It’s not a massive resort and is well known to be the local’s mountain for Calgary residents. We got lucky and had two epic powder days at Nakiska making these days some of our favorites. This may be one of our favorites in the area just because it is so unassuming. 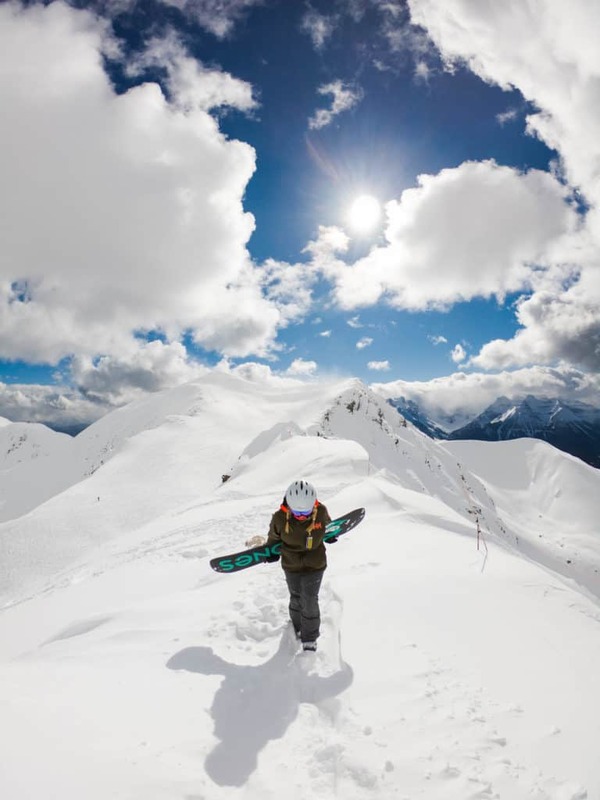 Unlike, Fernie, Kicking Horse, or Panorama there are no massive bowls, famed double blacks, or white knuckle glades to scare your ski pants off. Instead, it is a magical, simple, and a quiet mountain that’s perfect for ripping a groomer or letting your kids have fun on their own without fearing they’ll fall off a cliff. A large part of it is due to its location across the valley in the Purcell mountain range, no it’s not located in the Canadian Rockies! Fernie has been named as one of the best ski towns in the world by countless sites and magazines, including the likes of National Geographic. It’s historically a mining town that was voted the “Best Little Town in BC,” and for good reason. 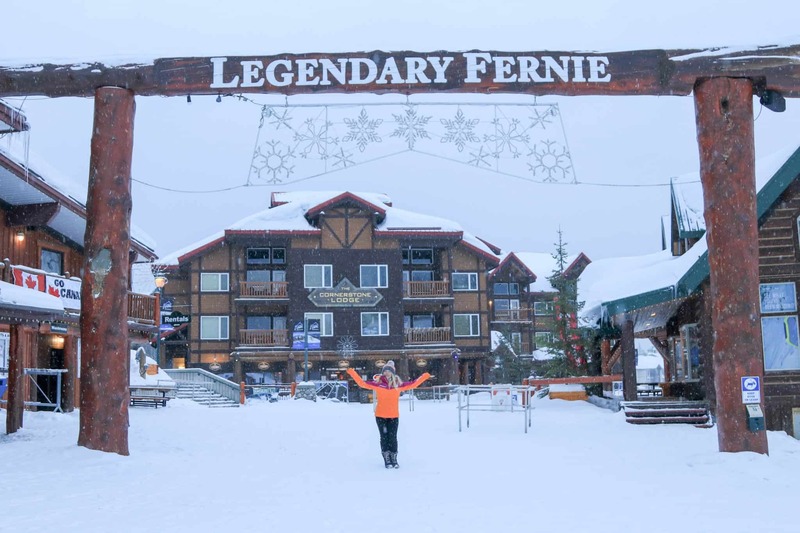 Fernie actually turned out to be one of our favorite spots in all of Canada. This resort in the Canadian Rockies is known for drowning in piles of snow. They see on average of nearly 9m of snow or about 29 ft a year. It’s spread out over 2,504 acres of terrain that includes five large bowls, ridges, and glades. To explore all that the mountain has to offer would take a season at least, with countless options for new lines. The trails at Sun Peaks ski resort are well laid out and pretty easy to navigate with almost all runs leading back to the base village. It makes for easy navigating and it is almost impossible to get lost. Especially in comparison to Switzerland and Austria where skiers and boarders can easily end up in another village or country if they don’t pay attention. The resort doesn’t serve as a mecca for ski bums, but that doesn’t mean the ski runs aren’t notable. 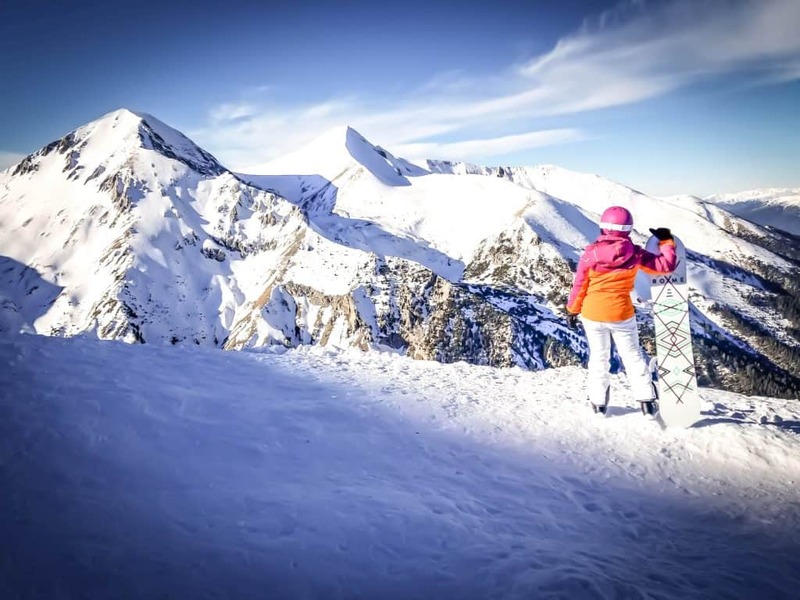 There are a number of challenging pistes, bowls, glades, and a seriously extreme terrain park that has plenty to offer expert and advanced ability levels. It’s a nice full-service ski resort and the second largest in Canada only smaller than the monstrous Whistler-Blackcomb. Banff Sunshine contains two expert only areas that require all riders and skiers to sign out with the ski patrol and carry an avalanche kit. Delirium Dive and Wild West areas feature massive cliff features, chutes, and some seriously steep terrain. Don’t let the expert terrain detract you from visiting the resort as it also has a plethora of groomed beginner and intermediate runs. 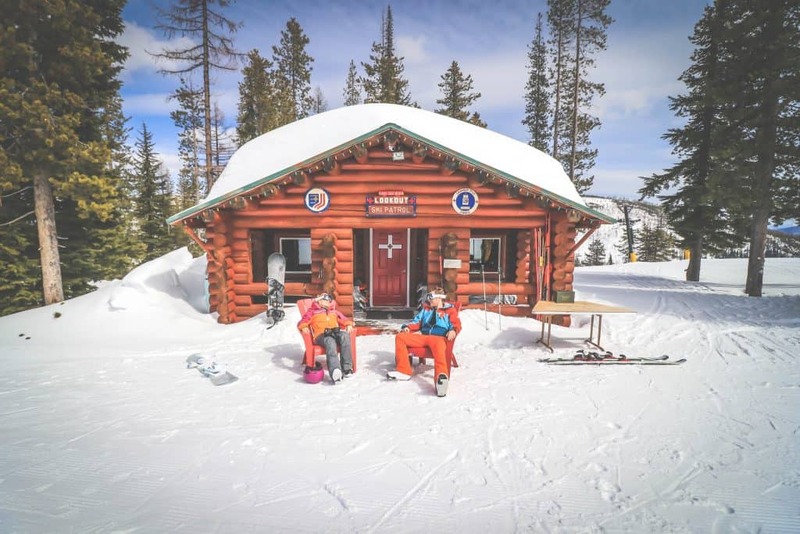 The resort has something for everyone and the base area makes for a perfect central point to meet after skiing the surrounding peaks. In between runs screaming down groomers or tackling a bowl Banff National Park provides you some fresh air and stunning landscapes. 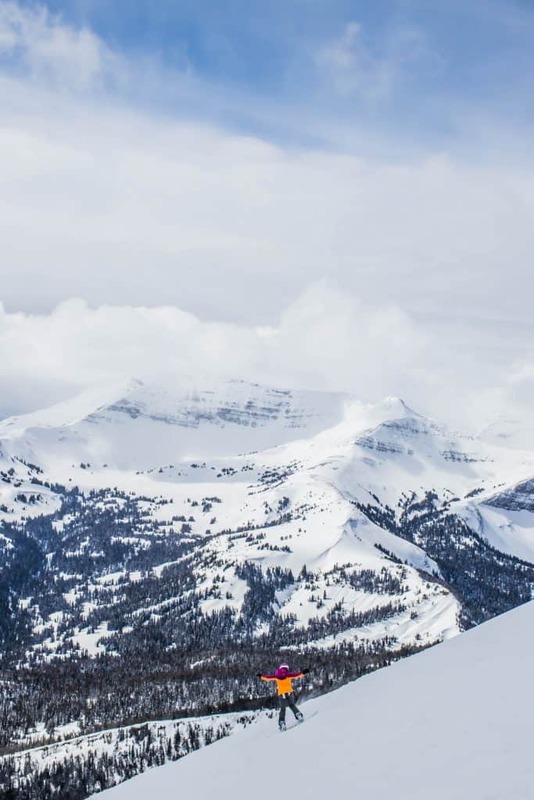 We visited thirty resorts in one season and the views from Lake Louise were hands down some of the best in the world. It also happens to be one of the largest ski resort in North America with 4,200 acres covering four mountain faces. The terrain varies between beautiful groomers, challenging steeps, and expert level chutes. The longest run here stretches for nearly five miles so start working out your leg muscles now. 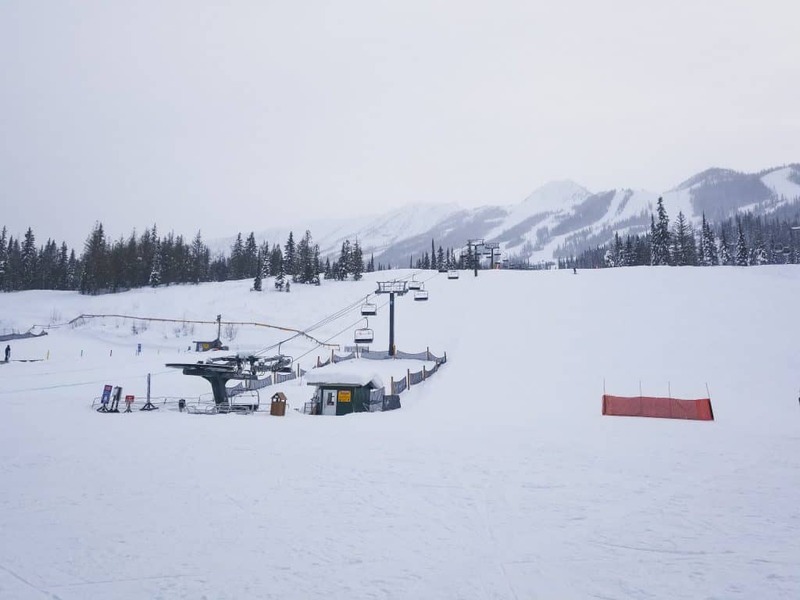 While Lake Louise and Banff Sunshine can draw a decent crowd (still few lines) Mt. Norquay is a quiet mountain. You’ll have a hard time finding crowds here and it’s the perfect place to learn how to ski with a good ski school and affordable lift ticket. They also offer snowshoe hikes, tubing, and child care. The biggest plus to Mt. 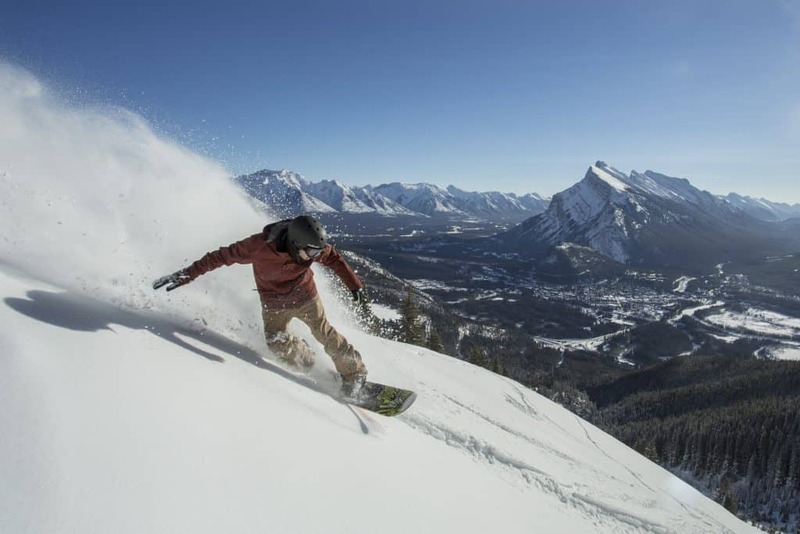 Norquay for us is the proximity to the town of Banff, only a 10-minute drive. However, if you’re an advanced skier you’ll have to give it a skip for Banff-Sunshine or Lake Louise. The three peaks at Keystone are in a row stretching out from the base area so the further you go the quieter the runs. A highlight of any trip to Keystone has to be the sunset laps you can take. The front mountain lifts run until 8 p.m every night, meaning you can ride as the sun goes down. We’ve had sunrise rides, but never sunsets and find it completely unique to the resort. There are a number of factors that set Keystone Resort apart from the other resorts in Colorado. 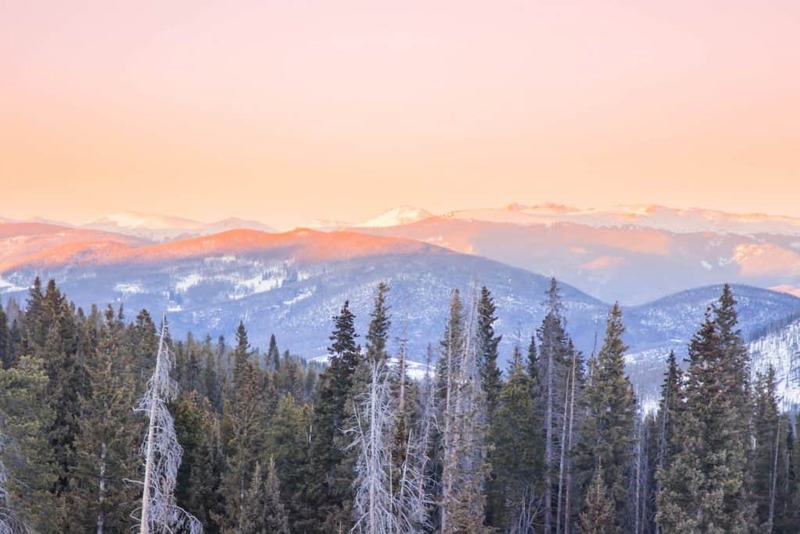 The resort offers free skiing to children, has the longest ski day in Colorado, and is an easy driving distance from Denver. Accommodation prices in Keystone are generally cheaper than the surrounding resorts of Vail Valley. Keystones close proximity to Denver does serve as a negative on the weekends as the resort becomes crowded. If you’re not used to lift lines then I would recommend visiting on the weekday. We generally started the day on the Outback peak and worked our way to Decorum as ski patrols close the back mountains earlier in the day. If you want to find the most popular resort in Colorado (maybe even the US) it would have to be Breckenridge. With almost 3,400 feet of vertical drop and a countless number of bowls and an easy drive from Denver, it’s easy to see the appeal. 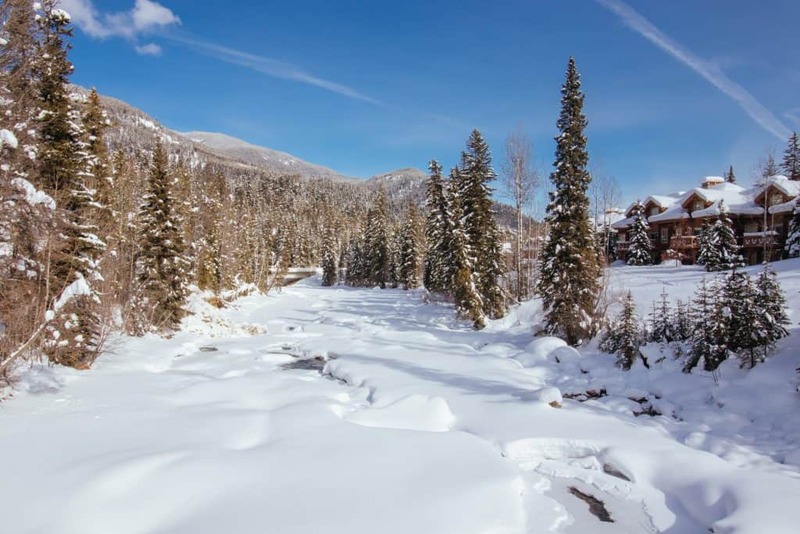 The appeal extends beyond the epic skiing because Breckenridge is the full vacation package. 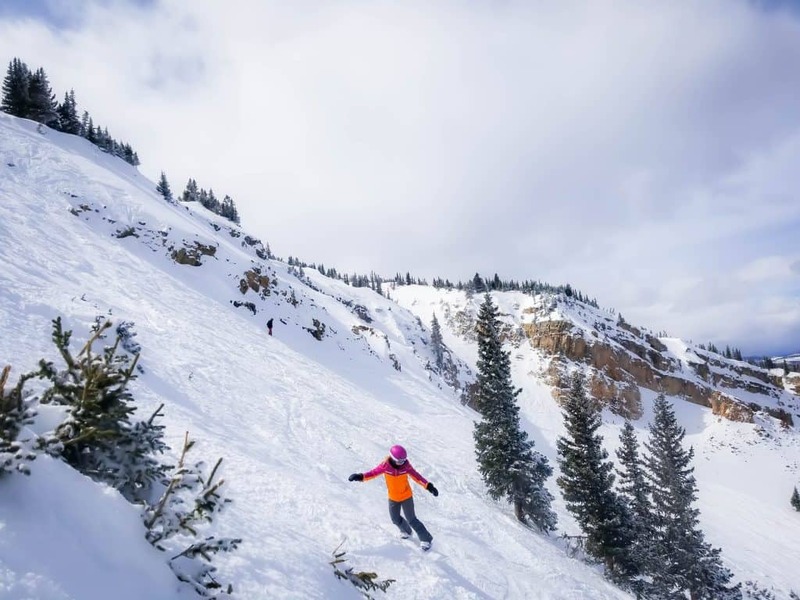 At this Colorado ski resort, you can expect just about everything you could want from a ski trip and it’s easy to see why it draws such a crowd. Despite the size, the resort is pretty easy to navigate as it is spread along the front side of several peaks. There is plenty of terrain for every skill set, with beginner, intermediate, advanced, and expert level runs including a few extreme rated double black diamond runs. All of this sits on top of a former mining town that is now full of bars, shopping, gorgeous cabins, restaurants, and luxury hotels. 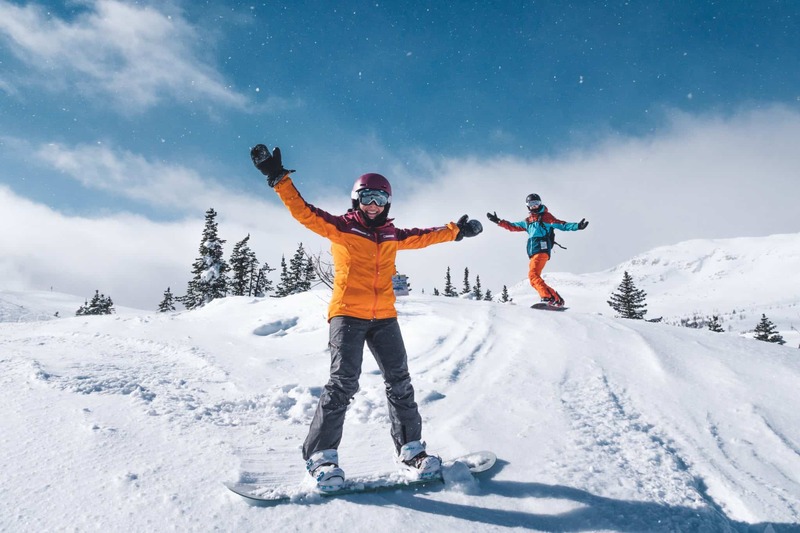 It’s an enticing mix and for those big into the apres ski scene Breckenridge is regarded as having one of the best in the world. If we were to pick our favorite resort in Colorado and a highlight of the world it would have to be Aspen Snowmass. This shouldn’t be much of a surprise as it is celebrated around the world, but that does mean it comes with the highest price tag we’ve seen for a ski resort (in the world). Aspen is well known for being the ski destination for the rich and famous so you would figure they want the best their money can get. The price of one lift ticket does come with four ski resorts – Aspen Highlands, Aspen Snowmass, Buttermilk, and Aspen Mountain. The first time you stand on top of Lone Mountain at Big Sky, or maybe every time, it will scare your pants. A small gondola for around 15 persons runs expert level skiers to the top of Lone Mountain every four minutes. From the top are a serious of extremely steep and exposed lines including the infamous Big Colour, known as one of the most difficult ski runs in the world. We still weren’t ready for the Big Colouir, but had an amazing line down Marx and Lenin. With all that being said the rest of the massive resort does a great job at serving intermediates and beginners. 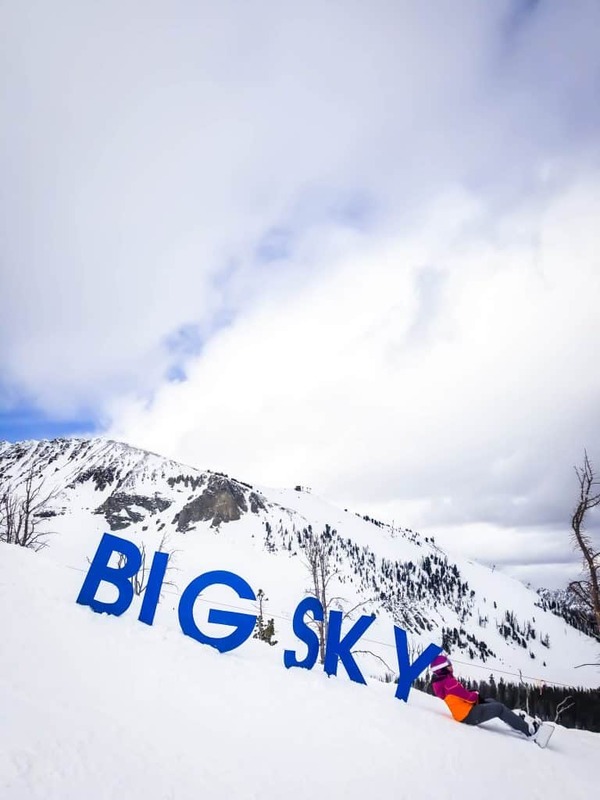 Big Sky is one of the fastest growing resorts in North America and we were impressed by their lifts system that they continue to upgrade. Most North American resorts are extremely dated in their lift system in comparison to Europe. The town around the ski resort is charming and makes you feel like you’re really in Montana…if you know what I mean. 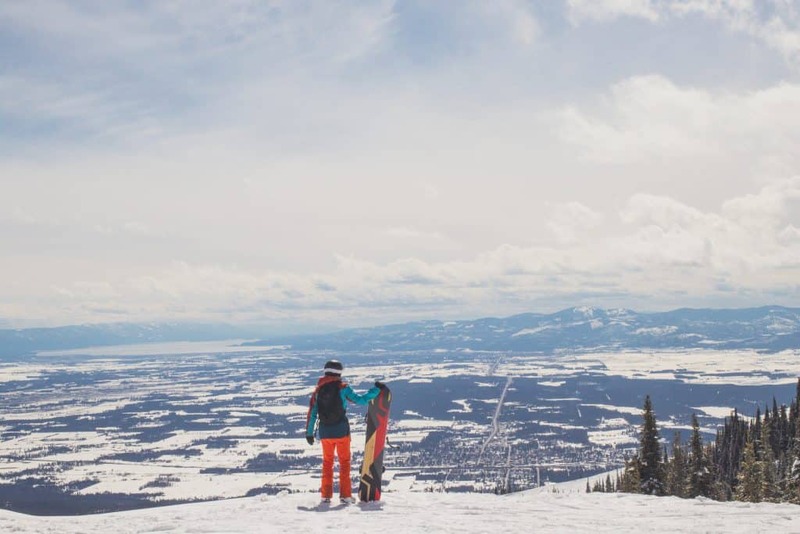 Whitefish has everything we want from a North American ski slope. They have a charming ski town, epic views of Glacier National Park, mountains of powder, and epic tree skiing. The resort is known to have some of the best snow conditions in the U.S. with some epic dumps. All of that snow and lots of terrain mean that you can reliably find that secret powder stash. The resort is relatively quiet compared to Big Sky and like a ghost town if you compare it to Colorado ski resorts. The town of Whitefish is cute and has a plethora of coffee shops, boutique shops, and restaurants to stay busy in after skiing. Silver Mountain Resort is spread across two mountains with 73 trails, 1,600 acres of terrain, and 2,200 feet of vertical. The resort gets more than 300 inches of snowfall annually, that makes it the perfect place for powder hounds. Silver Mountain has five chairlifts and I highly doubt there is ever a lift line – even on weekends. The terrain is suitable for everyone with 20% beginner, 40% intermediate, 30% advanced, and 10% expert. There’s even a sizable terrain park for all the park rats in the area. With the amazing conditions, we didn’t ride many beginners runs, but instead found ourselves in the North Face Glades and hiking up Wardner Peak for fresh lines. Silver Mountain is a locals mountain where we could have a $4 beer while chatting with the local ski veteran. There is a bar/laid back restaurant upstairs and a cafeteria-style restaurant downstairs. You won’t find any Colorado prices here. Speaking of price, I forgot to mention the best part, the cost of a daily lift ticket is only $56! With the great snow conditions and lack of crowds, we had some of our best snowboarding conditions at Silver Mountain. At first glance Lookout Pass may seem like a small ski hill. And that is true, there is no crazy vertical drop like at Jackson Hole or Whistler, but the ski area does receive insane levels of snowfall. How crazy? Well, 400″ is said to be the norm and because of their location in the Northern Rocky Mountains the snow at Lookout stays light and dry. We talked to locals who claimed they were getting powder dumps in November, and skiing waist deep snow throughout the season. This is very much a locals mountain where you’ll find some of the same old-timers riding here every day for decades on end. It’s a fabulous feeling compared to skiing at large resorts that only look at you as an ATM. Here there is a distinctly personal touch. You won’t get bored though as the ski area is serviced by three chairlifts, and 35 runs across 540 acres more than enough a full day. Another cool thing is their free ski school. Yes, for 77 years they have been operating a totally FREE ski school for kids. Over the years thousands from the region learned to ski at Lookout Pass. 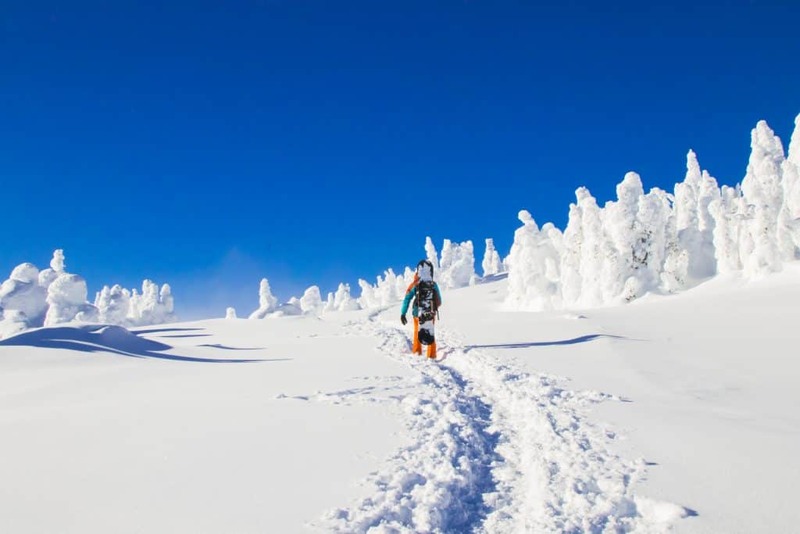 Half an hour from Sandpoint, Idaho is Schweitzer Mountain Resort, the largest ski resort in Idaho. 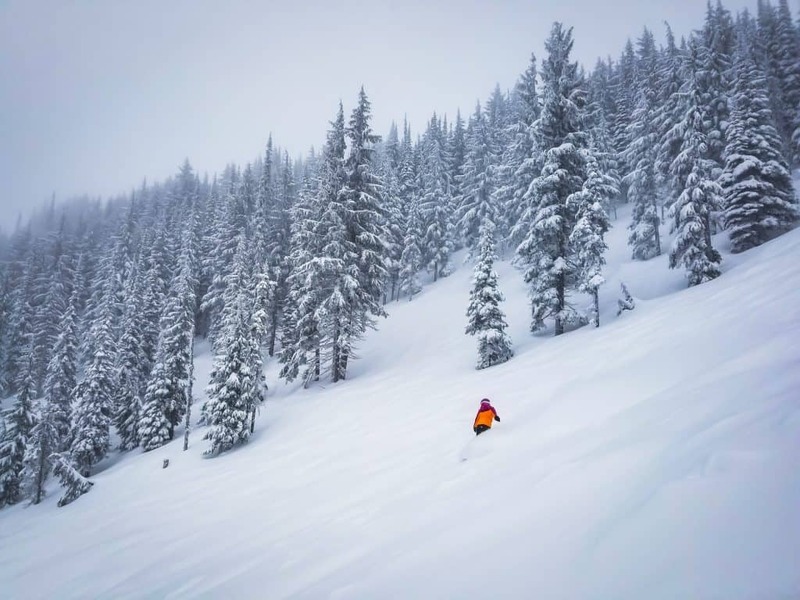 It was our last stop on our epic three-month snowboarding tour and we were stoked to learn they received over 400″ of snowfall in the 2017/2018 season. When most people think of Idaho and skiing they think of Sun Valley, although Schweitzer is a larger area, cheaper, and has far fewer people. Schweitzer has 2900 skiable acres, 92 trails plus open bowl skiing. We didn’t hit Schweitzer on a powder day, but if it were dumping I imagine the bowls would be epic. 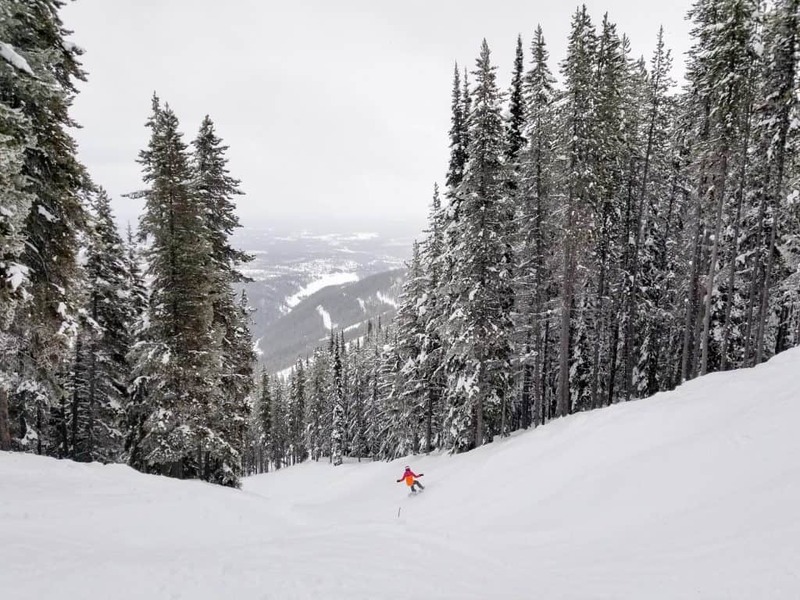 Schweitzer caters well to families with 50% of their runs classified as beginner and intermediate and basically, all runs will eventually lead you to a lift here. 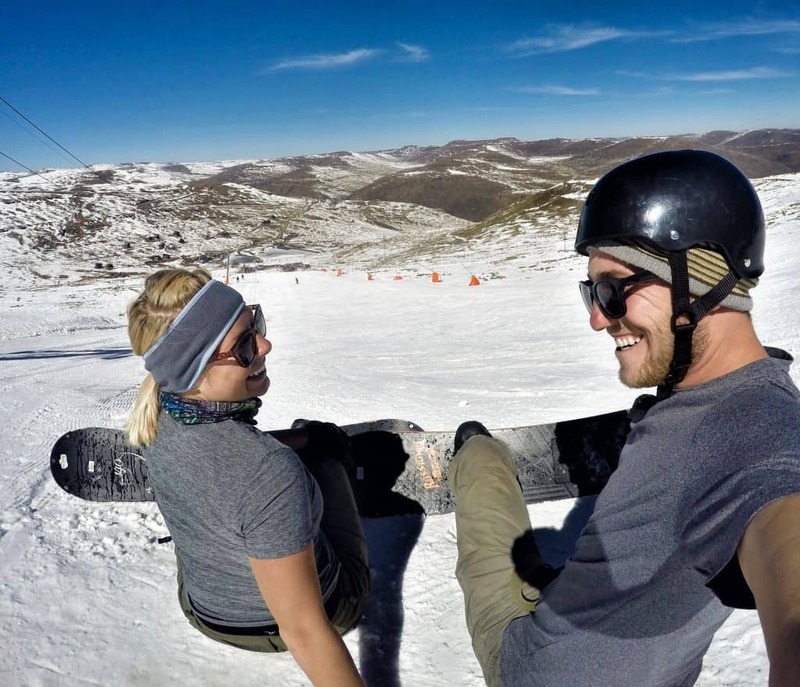 Did you know that you can snowboard in Africa? We sure didn’t until we got to Lesotho. Once we found out about Afriski in Lesotho, we knew we just had to go and snowboard down Africa’s tallest slope ourselves. We spent a great day in the Maluti Mountains brushing up on our snowboard skills while wearing t-shirts. It may not be the greatest ski slopes on the planet, but they are definitely some of the most interesting. Essentially Afriski is one tow rope up to the top of their one main hill, which essentially is a green run. It’s still good fun if you are already visiting Lesotho or want a trip from South Africa. Plus you get to tell people you’ve been to a ski resort in Africa.